Resource depletion, climate change and degradation of ecosystems are challenges faced by cities worldwide and will increase if cities do not adapt. In order to tackle those challenges, it is necessary to transform our cities into sustainable systems using a holistic approach. One element in achieving this transition is the implementation of nature-based solutions (NBS). They can provide a range of ecosystem services beneficial for the urban biosphere such as regulation of micro-climates, flood prevention, water treatment, food provision and more. However, most NBS are implemented serving only one single purpose. Adopting the concept of circular economy by combining different types of services and returning resources to the city, would increase the benefits gained for urban areas. 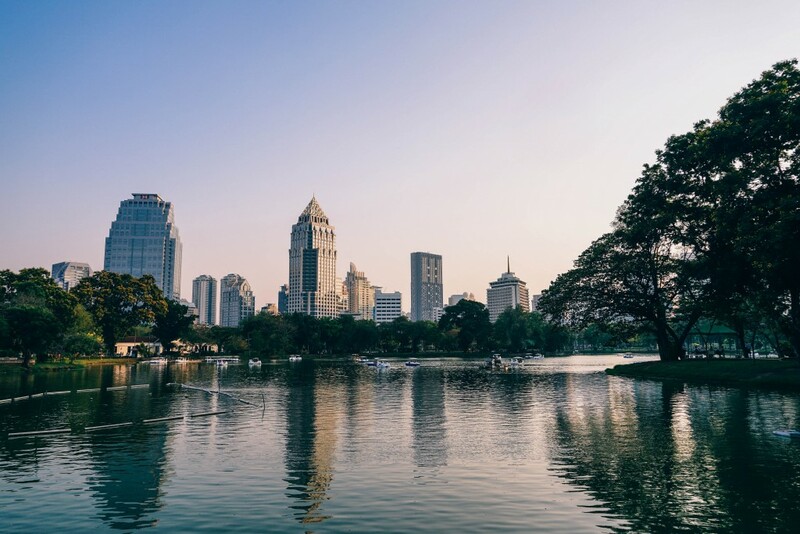 This COST Action aims to establish a network testing the hypothesis that: A circular flow system that implements NBS for managing nutrients and resources within the urban biosphere will lead to a resilient, sustainable and healthy urban environment . To tackle this challenge five working groups (WGs) give their contribution on closing the resource cycle within the urban biosphere. 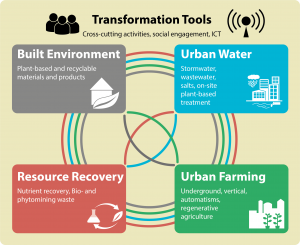 The five WGs will deal with the built environment, urban water, resource recovery, urban farming and transformation tools connecting the WGs and the socio-economic impact. 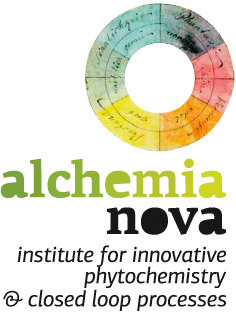 The project was initiated by alchemia-nova. The main aim and objective of the Action is to build an interdisciplinary platform for connecting city planners, architects, system designers, economists, engineers and researchers from social and natural sciences that develop nature based solutions in the urban landscape that are facilitate circular economies based on the 3Rs (Reduce, Reuse and Recover) and allow cities to cope with future challenges. The European Cooperation in Science and Technology (COST) provides funding for the creation of research networks, called COST Actions. These networks offer an open space for collaboration among scientists across Europe (and beyond) and thereby give impetus to research advancements and innovation. COST is bottom up, this means that researchers can create a network – based on their own research interests and ideas – by submitting a proposal to the COST Open Call. The proposal can be in any science field. COST Actions are highly interdisciplinary and open. Albania, Austria, Belgium, Bosnia and Herzegovina, Bulgaria, Croatia, Cyprus, Czech Republic, Denmark, Estonia, Finland, France, Germany, Greece, Hungary, Iceland, Ireland, Italy, Latvia, Lithuania, Luxembourg, Malta, Montenegro, The Netherlands, Norway, Poland, Portugal, Romania, Serbia, Slovakia, Slovenia, Spain, Sweden, Switzerland, Turkey, United Kingdom and the former Yugoslav Republic of Macedonia.